Large cities are often located in areas that are naturally species rich. As urbanization increases globally, what is the impact on biodiversity and species richness of birds? Can cities be designed to preserve biodiversity and the inhabitants learn to coexist with the bird species that dwell in them? Figure 1. Gardens, foundations, art, and plazas make up the 17 acre Rose Fitzgerald Kennedy Greenway in downtown Boston. 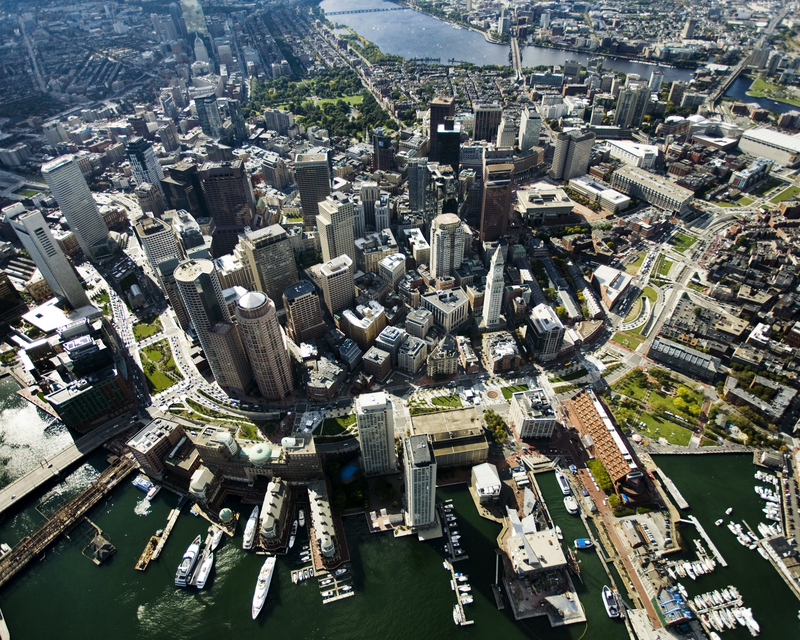 Courtesy of Hellogreenway, 2008, Wikimedia Commons. CC BY-SA 3.0. Figure 2. The United States Census Bureau completes statistical analyses on the country’s populations. 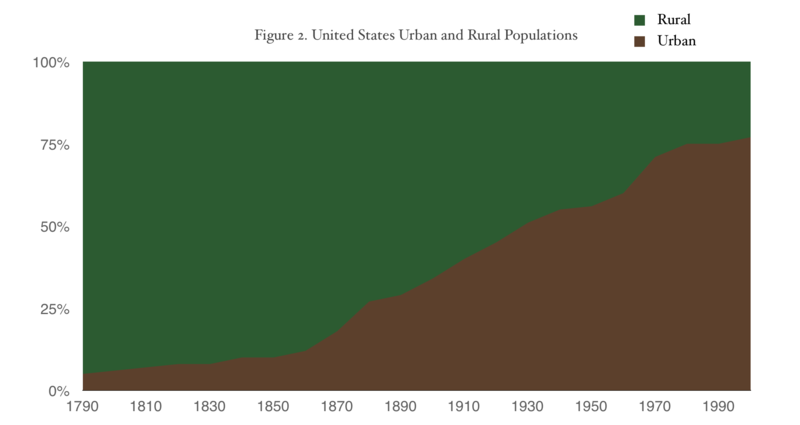 The urban population of the United States reached over 50% in the mid 1900’s, and continues to grow. The world’s urban population is also growing rapidly. Data obtained from Historical Statistics of the United States, U.S. Census. Public Domain. One challenge of creating and maintaining greenspace is the limited amount of area in a city. Urban sprawl is a common response to create more land area in major cities, but this can be problematic for bird species. Species diversity and richness is lower in urban areas than rural areas, and the spread of urbanization can decrease potential habitat for native bird species.9 To avoid urban sprawl, some Swedish cities have adopted the strategy of compaction as recommended by the Commission of the European Community. Compaction is building on land already within city limits.8 This poses another challenge as existing greenspace, other than public parks, may be used for new building locations. Figure 3. 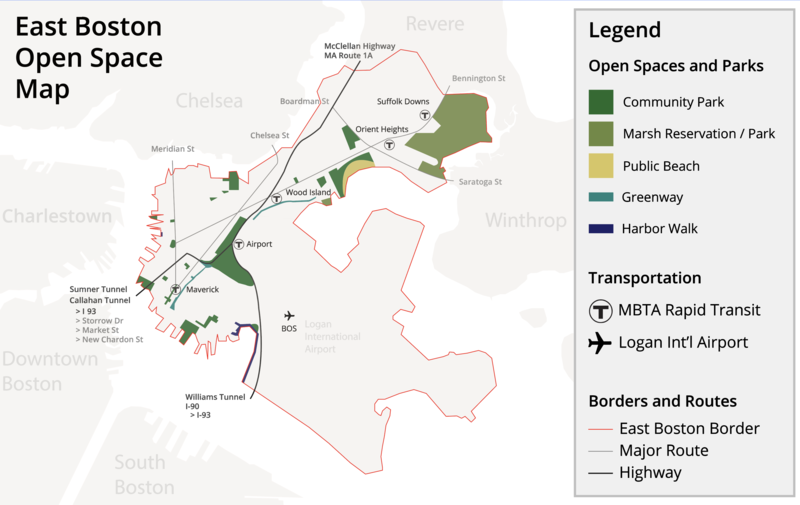 Map of parks and open spaces in East Boston, Massachusetts. Courtesy of MrJARichard, 2014, Wikimedia Commons. CC BY 4.0. Other studies in urban greenspace did not limit the scope of research to program or size. The methodology of research for these studies included selecting several locations throughout a city, and monitoring of these areas at regular intervals over a period of time. Chosen greenspaces were analyzed for factors that could have potential effects on the bird population. These factors included size and connectivity, density of trees and brush, and human disturbance.2,5,7,8 The most common method used for recording birds in the designated areas was the point count method.2,4,5,8,9 There were several methods used to avoid bias or missed birds during the study period. In the study conducted by Ikin et al. (2013), the sites were not visited in the same order each day, and the studies were repeated on separate days.5 To account for missed birds, Strohbach et al. (2013) assigned a different observer to the morning and evening shifts, and varied the observers over the two-year study period.9 The data collected on the number of individual birds and the number of species was then statistically analyzed using a variety of methods. In these studies, birds that were flying overhead without any sign of using the area for nesting or feeding were disregarded. There is not a universal solution for the decrease in bird habitat in urban areas. On the individual level, homeowners can take steps such as planting trees and shrubs in their yards to provide nesting places for birds. To promote compaction, zoning laws are suggested which regulate the amount of greenspaces in a city.8 Boston is home to the “Grow Boston Greener” program, which hopes to grow the amount of urban forest in the city from 29% to 35% by 2030.9 The city of Delhi, India, has an intensive greening plan created by the state government, which has increased the greenspace in the city, even though Delhi is experiencing rapid growth.6 Further research can be used to improve the quality of the greenspace in urban areas, and to aid in urban planning of future communities in a way that is conducive to improving the habitat quality for birds. Flannery, John. (2014). [Photograph of cardinal]. Retrieved from FlickrCommons. CC BY-ND 2.0. Hellogreenway. (2008). [Aerial photograph of greenway]. Retrieved from Wikimedia Commons. CC BY-SA 3.0. JD. (2013). [Photograph of Baltimore Oriole]. Retrieved from FlickrCommons. CC BY 2.0. MrJARichard. (2014). [Map of parks and open spaces in East Boston, Massachusetts]. Retrieved from Wikimedia Commons. CC BY 4.0. Perensovich, Kameron. (2012). [Photograph of female hairy woodpecker]. Retrieved from FlickrCommons. CC BY-SA 2.0.